"Hypertuned" my AVX, One question though! 2- If I remove the washer, the axis becomes extremely smooth and exactly wha t you'd expect from a hypertune and the rubbing sound disappears; however, the ring gear starts to slip downwards (towards the bearing). So it seems to me that the washer is holding the ring gear and keeping it from slipping downwards. I've attached some images to clear this further. 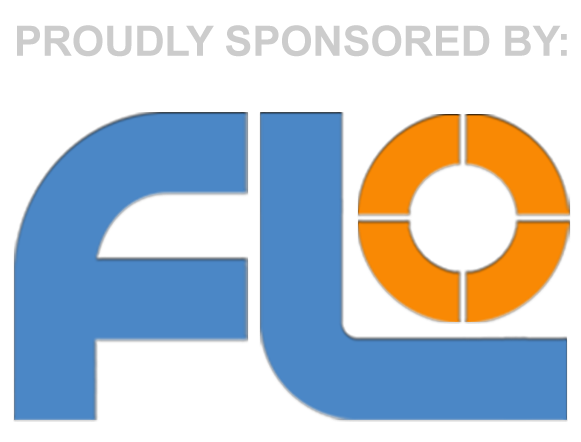 The images used are from RocketSparrow's website with added markings from myself. I don't think you're wrong at all. One thought, are you missing a reverse tapered bearing\receptacle that needs to be fitted to the mating part ?? I have no idea if I'm missing anything, I just followed that guide. There is a ring that mates with the tapered bearing which i've placed in the RA housing. It was a tight fit. 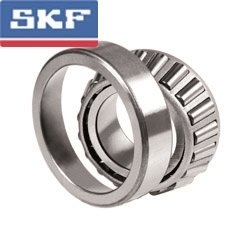 So the tapered bearing mates with that ring. The ring is the one on the left in this image below. I believe the ring at the bottom right of the picture is the outer sleeve. So what you're saying is that there should be a sleeve between the ring gear and the tapered bearing? I'm sorry my knowledge is very limited when it comes to this stuff. The only reason I tried to hypertune my avx is because I got a new mount and wanted to see if I can make the AVX better for my other scope. 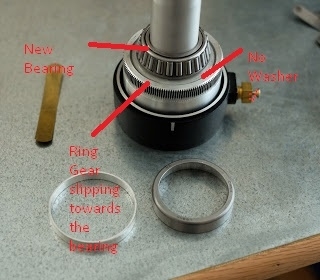 No, the stuff you have there in the photograph is right (albeit I'm not sure what the thin ring is, doesn't look like it belongs), and you have both halves of the bearing (the collar sits in the housing). My concern would be what would be rubbing as you will probably need to keep the nylon washer as this is what stops the crown rubbing directly against the housing. With the original bearing this gets kind of squashed, but with the roller you may find it isn't as tight, so will feel looser. You adjust the tension with the retaining screwed plate at the back. 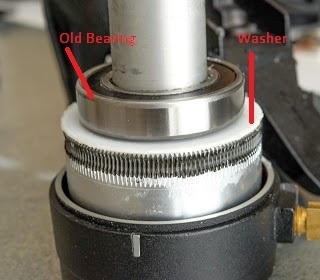 In fact, thinking about it, if you haven't greased it is probably the nylon washer that is rubbing as it may well now be loose (depending on the exact size of the new bearing), whereas before it would have been sandwiched by the old bearing. i did grease it but it probably needs a more generous amount of grease. I will try that. Ah ok, makes sense. The washer will be rubbing as it is what sits between the crown ring and the housing. You could remove it and then heavily grease, but you will then have the crown wheel rubbing directly against the aluminium casing, so maybe not ideal. I'd add some more grease see if the 'scraping' noise reduces. When you put the shaft back in the housing, and then put the race bearing back in (back of the mount where the polar scope goes) there is a flat not with 2 holes in it which tightens it all together. How tight this is determines the pre-load of the RA axis i.e. how tight the worm wheel is pulled against the housing. This should be just tight enough to stop it all rattling around, but not so tight as to cause the motors to stall. Yes I'm not advocating removing the washer, I think it should stay, and there should be another one at the top of the crown under the saddle housing, so make sure that one is there. When I say put on more grease, it should only be smears and not huge lumps so it shouldn't stick if it's the right stuff. If it still rubs or makes a noise then it is potentially something else as that is the only moving part, but this is only when driving, not when rotating my hand with the clutches disengaged. If it rubs then, it is more likely to be the other washer under the saddle housing missing. ah that's a good point. I can hear the same noise when moving it with my hand with the clutches released. Although I did grease the top washer you're talking about but it may have gotten loose. i will check that too. You've been very helpful! Ok. Yes I would check that, and also make sure you have a good coat of grease between the crown sleeve and the shaft, as there is movement between these surfaces when the clutches are disengaged also. Turns out that sound I was hearing was the motor housing rubbing against the RA!! Once I managed to clear that (which wasn't easy for some reason!) the sound disappeared and the axis got smoother; however I do have one more issue if you could help me with. I do seem to have a lot of free play on the RA axis. With the clutch fully tightened, holding the CW shaft and moving it slightly will produce some play in the RA (forgot to mention that while guiding I'm having periodic 5 to 8 arcsec peaks every 1 minute approx.) 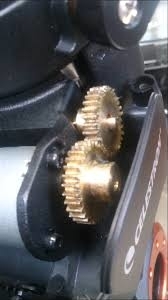 How can I fix that free play, is it by reducing the space between the worm gear and ring gear, tensioning the tensioner with the thrust bearing at the bottom of the RA shaft, or by tightening the lock nut that holds the worm shaft? this is very confusing Also do you think this free play is what's causing these periodic peaks in tracking or could it be smthing else? Thanks for your help! When you say "play in RA" do you mean laterally (side to side) or radially (you can twist it)? If the former then it is likely you need to tighten the shaft nut a little, but if the latter, then you should be looking at the motor gearing, which are 2 little brass gears under the side casing, which the AVX is know to have issues with, and can be adjusted to reduce backlash. It looks like the top gear, in you picture, is on the end of a worm drive that mates with the axis worm. Usually (on Skywatcher anyway) this 'mating' is usually adjustable with 2 grub screws, either of the drive. These need to be adjusted first before the backlash in the two gears is adjusted. If your play is side to side i.e. you can rock your RA shaft within the casing, then it is main bearings and not backlash. It could be that the RA axis isn't tight enough to pull the roller bearing together so it is fully seated. However, if you mean you can grab the dovetail and move that side to side (simulating RA backlash), then this is probably backlash in the drive gearing and not the main bearings. As noted above, the bottom one of those gears is actually adjustable, and once you undo the grub screws and take the gear off there are allen bolts in slotted holes which let it slide laterally to mesh the gears. They aren't precision gears, so you probably aren't going to get it that good, but then the AVX isn't really a premium mount (hence lack of bearing on the dec axis). 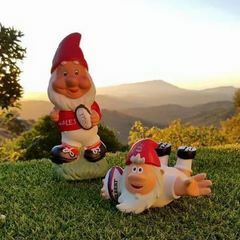 I think you can get it reasonably good, mine is, but I doubt you'll get it to the point where there is no play at all. It shows what kind of play I'm talking about. When my whole gear is setup, it really rocks side to side. I didn't get what you meant by the main problem being the main bearing. To try and remedy this, I tried tightning the worm to ring gear spacing, the worm shaft, and the motor gear to the worm gear. I also tried tightening the thrust bearing (the one on the bottom of the RA axis). Nothing worked, the play was still there but the motor was binding. I'm really frustrated. I'd appreciate if you could elaborate more and give me possible solutions Thanks so much. First thing I would say is make sure that isn't just the counterweight shaft moving. This looks like pretty excessive movement, but actually looks like the shaft itself is moving in that video, independently of the housing, so make sure it is nice and tight and not moving at all. It looks like backlash and not the main bearing as the actual mount casing is moving, so you need to look closer at the small brass drive gears, and make sure the main one is well adjusted to your ring gear, and the drive one is then adjusted to that. It can take a little time to get this just right, but many small adjustments are better than fewer large ones. I doubt you will get rid of all of it, but you can certainly reduce it from that. I would take the drive gear cover off, then do the same thing to see whether you can narrow down where the movement actual is i.e. is it between the ring wheel (crown) and the drive worm, or between the two brass drive gears. You should be able to see (or even hear) where the movement is, but will need to take the side cover off to see it. I'm sure it's not the CW shaft that's moving, it's the whole axis. I also removed the cover and the play doesn't seem to be originating from the 2 brass drive gears' it is most likely from the ring wheel and drive worm then? The weird thing is that if I adjust the spacing a bit more to reduce the slop, the motors will bind and the slop will only be reduced slightly. Is there anything else that might be causing this? I also looked at the worm gear to check if it's not tight enough (from the locking nut) but it looked fine to me. I also tightened that just in case but the issue remained. This is very frustrating I feel like throwing the AVX out the window.